The next meeting was scheduled to be held in Minsk on 1 February. 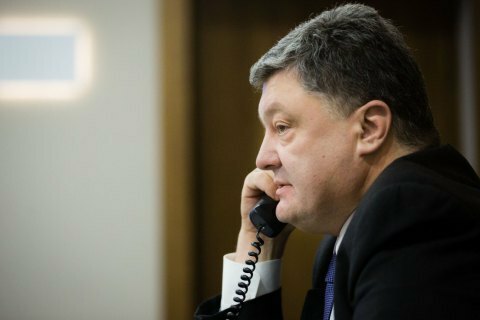 President Petro Poroshenko has instructed his administration to urgently convene a meeting of the Trilateral Contact Group (TCG) on a Donbas settlement because of the situation in Avdiyivka, a deputy head of the presidential administration of Ukraine, Kostyantyn Yeliseyev, said late Monday on 5 Kanal TV. The president demanded a TCG meeting in any format, including a video conference, to discuss the critical situation in Avdiyivka, Yeliseyev said. The next meeting of the TCG in Minsk was scheduled for 1 February. Previously, President Petro Poroshenko cut short his visit to Germany over the humanitarian crisis in Avdiyivka.